Today I made a card to send to my sister-in-law. as I'm planning on doing for New Years! Lol, I'm feeling really old!! 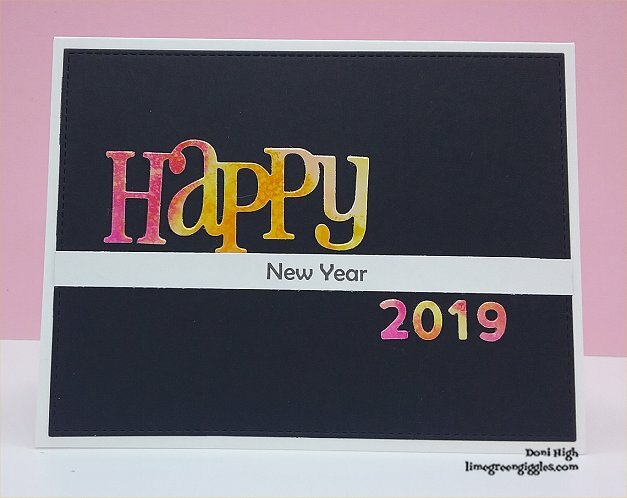 Thanks for stopping by and I hope you all have a very Happy New Year! 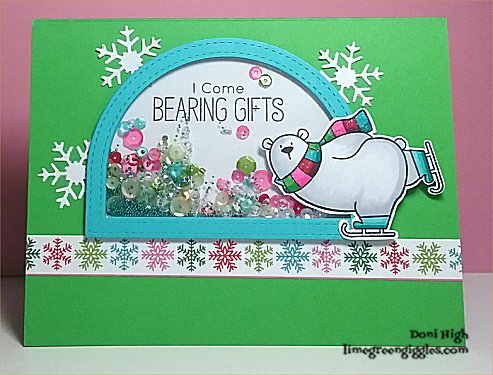 Here's the card I made for the Dies R Us Inspiration Blog. 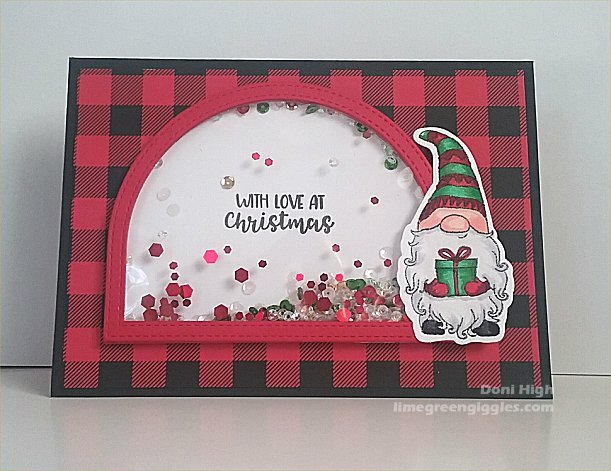 Most all of my Christmas cards are already in the mail, but I just couldn't resist making one more! 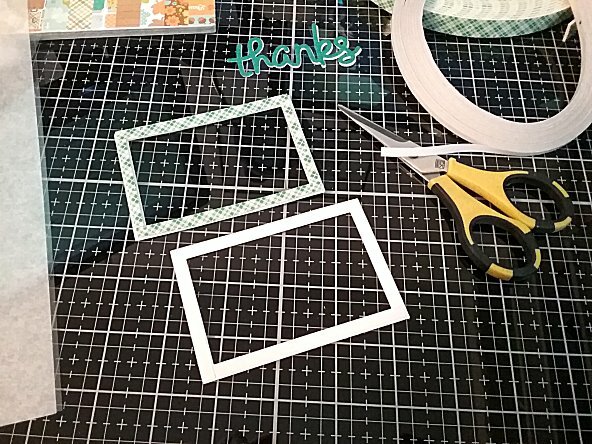 I started by die cutting the Memory Box Woodland Bridge Frame from white card stock. 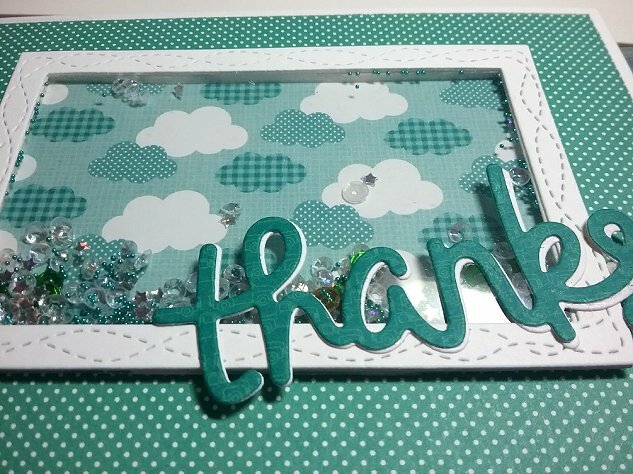 I just used the inside frame and did not use the little bridge part or the white deer . To create the winter background I cut 3 trees out of dark green card stock placed them on the bottom of a piece of light blue card stock that was cut the perfect size to fit under the frame. 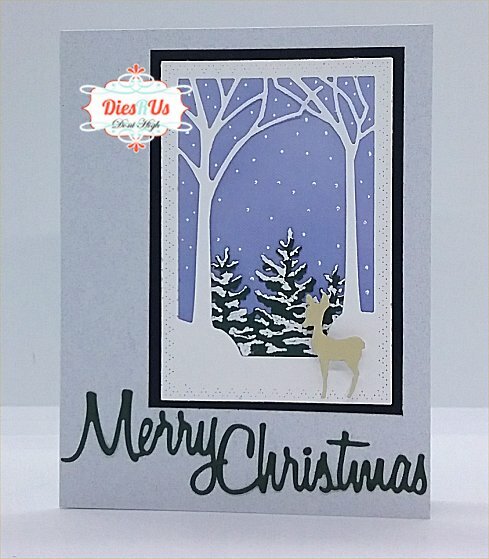 Next I added snow with a white Uni-Ball Signo Pen, putting lots on the branches and just a light dotting of flakes in the sky. The white deer did not show up so I cut another one from some light tan paper, added him to the bottom right of the frame with foam tape . Then matted the whole thing with black card stock. 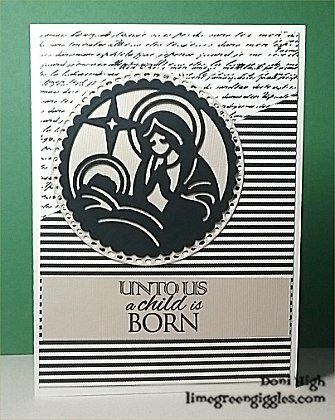 The Merry Christmas was cut from the same dark green as the trees and adhered to the bottom of the card front and wa-la it was done! 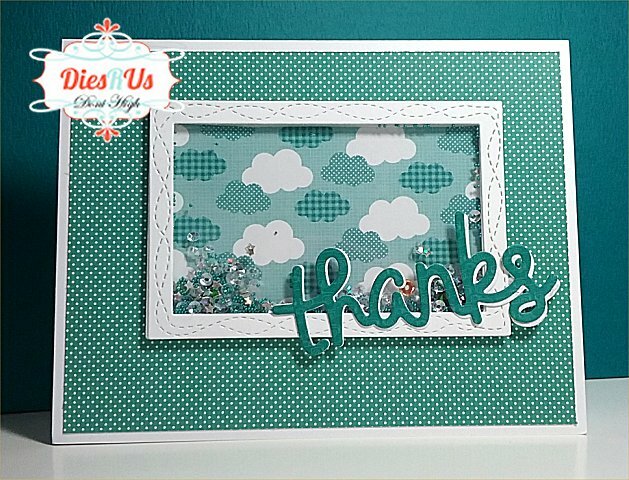 Below, you'll find the list of the supplies I used with links to the Dies R Us Store for your convenience. Christmas is fast approaching and thankfully, I have all my Christmas shopping done. they want is gift cards! LOL! 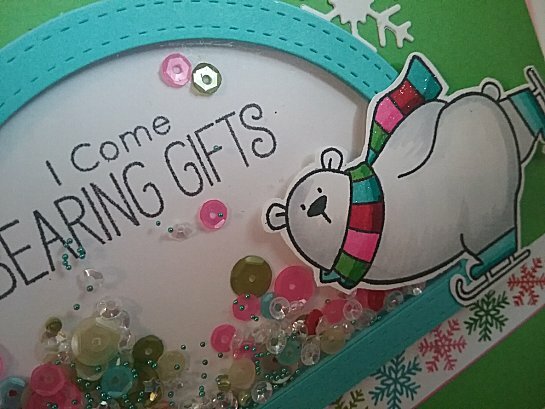 So today I'm making Christmas cards to hold the gift cards. Die-Namics Stitched Dome Frames to make the shaker window. Today I have a new post for Dies Are Us. depending on what you put on the inside. To start cut 2 of the same size frames. Put foam tape on the back of one. to a piece of clear acetate, then trim off the excess acetate. 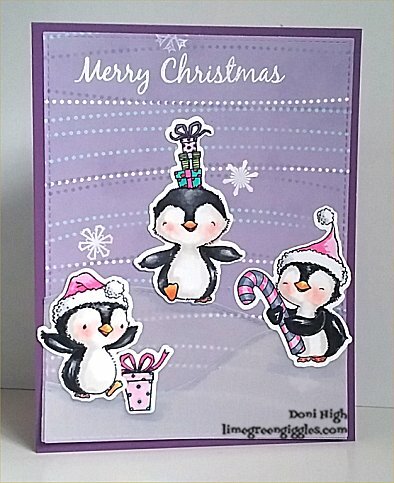 Set these aside for the moment and assemble your card front. 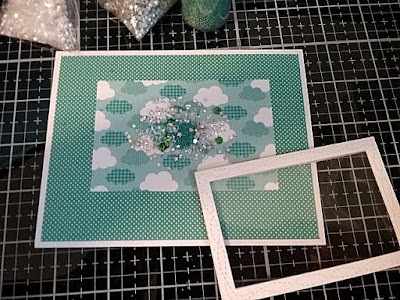 Select pretty papers and cut the center paper the same size as your frames. Sprinkle a pile of pretty shaker stuff ( beads, sequins, etc.) directly in the center . Remember to keep them away from the edges. to the top of the other frame with adhesive ( making sure that the foam tape is on the bottom). 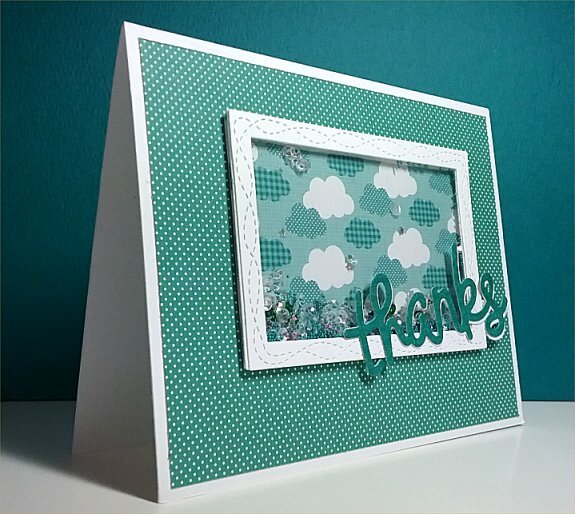 At the moment, this thanks die is out of stock, but you can type thanks in the DSU search bar and find lots of Dies that will work just as well. I've got another Christmas card to share with you today. I think this is one of my favorites this year. I like the neutral colors.